Image via Ashwin Willemse Facebook. 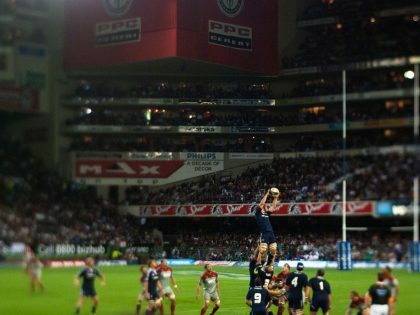 There is no incident of a personal nature[,] such as unresolved grudges, resentment or annoyance that I established as a possible or reasonable explanation for the incident of 19 May 2018… From a professional perspective I have established that all analysts and anchor are highly knowledgeable in the sport of rugby… I have also established that they treat their contractual obligations seriously and present… inputs consistent with the ethical norms of decency and respect. I really enjoy working with “Bobs” and Xola [Ntshinga] and Scott. They are a real pleasure. Xola asks very good questions and Bobs knows enough about rugby to produce interesting clips for discussion. Unlike with the complex Ashwin, there are no agendas. It would be great if Ashwin could be moved to the morning show where we don’t have to work together. 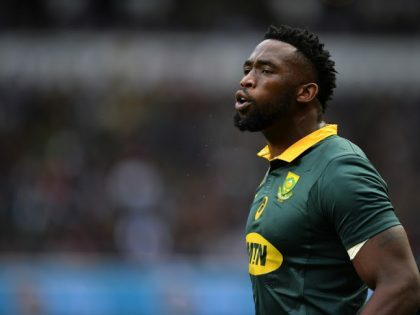 I think he talks garbage… I am happy to work with Breyton [Paulse], Shimmy or Bobs instead as, unlike with Ashwin, I respect their hard work and rugby opinions. As Colquhoun wryly comments, “It may not have been his best piece of man management but Breyton did go on to score a fine try in that match.” Time and again “Mallett resolved he would use Deon Kayser—a more reliable all-round player to fill the Springboks’ quota berth.” For Mallett, Deon and Breyton were the obligatory quota players out on the wing. Is it puzzling how Maleka reached a conclusion that there were no “unresolved grudges, resentment or annoyance” given the contents of Mallett’s letter? Yes, Mallet did not have the courage to declare his disdain of his colleague to Willemse’s face. But it would propose a sublime level of hypocrisy to suggest that Mallet never betrayed in his “banter” what Willemse picked up: an abiding underlying contempt. It says in the Good Book that he who seeks shall find. But he who seeks in the wrong places shall surely find the wrong answers. Adv Maleka was never going to find an AWB tattoo on Mallet’s forehead. Nor was he going to find Mallet comparing blacks to monkeys. The whole report went wrong in failing to grapple with stuff a lot more subtle than that and was not helped by a woefully inexpert rendition of what covert or subtle racism is experienced to be. Adv Maleka found no splint in Supersport’s eye because the true injury was caused by a poke. The kind of poking many Willemses have endured over the years: a snide offensiveness peculiar to the Malletts of the world. How does this poking work. It works through the adoption of a superior attitude. It may come across as simple arrogance but it’s more than just that. A merely arrogant man praises himself; a poker must pull others down too. On page 39 of the report, it is revealed that Mallett “corrected Mr Willemse’s use of English.” Mallett’s defense is that this is “not unusual as he adopts the same stance in respect of fellow commentators across the color-line… It is a personality trait which he developed from his father, who was an educationalist, and was reinforced when he too became an English teacher.” What Mallett does not reveal is that he taught for six months as a stand-in teacher in 1983 and when he did apply for a permanent post at Bishops he was turned down. Mr Botha accepts that here and there Mr Mallett would correct or assist him with the use of the English language. He found nothing untoward about this. On the strength of this, I do not regard the conduct of Mr Mallett as a sign of covert or subtle racism. The reasoning is astounding. Because Botha thinks Mallett’s behavior is acceptable, this means that it is okay? And surely Mallett must know how this didactic personality trait, if it is one, comes across: as patronizing and undermining? Does he not care enough to suppress the urge to show everyone how Queenly his English is? And why is Mallett’s use of English the one that is acceptable? What gives him the right to decide? English is a wonderfully elastic language and billions of us across the world keep reinventing it and playing with it. In fact, the term World Englishes is now employed to refer to localized or indigenized varieties of English across the globe. Nobody had told Willemse that the normal order of things had been changed. Caught unawares, he took Mallett and Botha’s insistence that he be given time to talk as patronizing. Can we delink Willemse’s intuition from the now proven fact that at least one of the colleagues thought that his views were nonsense. The “expert” witness on racism Professor Adam Habib’s intervention takes us nowhere. It is de-linked from context, is expressed in generalities and does not purport to offer evidence. What is important about Willemse’s outburst is not so much the allegation of racism but the objection he raised to being patronized. This undermining may well have a dose of racism within it but it is overlaid by something harder to discern but just as objectionable: a toffishness. Maleka leaned too heavily on Habib’s intervention to reach exculpatory conclusions. Instead of turning to experts in racism, the Advocate would have been better served to trace the histories of the contending parties. What would have quickly emerged is that Mallett has a history of rude, arrogant behavior that is covered by or perhaps even produced by the bluster of Oxfordesque privilege. Edward Griffiths in his book, The Captains (2001), reveals that while Mallett was Springbok coach it was a roller-coaster ride for the captain Gary Teichmann as Mallett was determined that Bobby Skinstad would be his go-to man. Even when Skinstad was seriously injured in a car accident Mallett stuck to his guns while simultaneously not communicating with Teichmann. The split was becoming muddled and unpleasant. The captain had asked what was the problem, and the coach had incongruously replied by declaring his plans for a player who had been injured for three months. There was no logic, no clear communication, no decency. Emile Valentine was the first to feel the power of our pent-up emotion. All over the rough, scrubby field were little mole hills. I hit Emile so hard in an early tackle it sent him into one of the mole hills…the tackles that day had a clear meaning. History would somehow be made…the final whistle blew. We had won…It was the greatest day of my life as a rugby player at our school. …a whole tog bag filled with training gear, a tracksuit and boots arrived. The boots were too small for my feet. Not that it stopped me from wearing them. First, I crammed wet newspapers into the boots, asked a friend with smaller feet to wear them in and, later, forced my own feet into them. I paid with painful blisters. Reflect on Mallett’s life trajectory: Peterhouse (the Rhodesian Michaelhouse), St Andrews (Grahamstown), University of Cape Town and Oxford University. Compare it to Willemse’s shack shared with innumerable uncles, tasked with cleaning the pee-pot every morning and Mallett’s at Bishops where father Anthony was principal; “grand accommodation, flourishing school and splendid view of the mountains.” None of this is to berate Mallet for the fortune of his circumstances. It is to show that the somewhat boorish way his privilege permits him to move through the world, is keenly felt by others around him. The difference in their upbringings is important for another reason. In his world Mallett could safely sneer at those he considered his inferior behind their backs. Cutting whispers to the boss don’t count, nor do daggers in the back. In the Anglo-Saxon mould, you have to catch someone directly disrespecting you before making a scene. Willemse has a different code. Where he comes from, when you get a sense that someone is looking at you funny, you confront it head on. And Mallet was looking at Willemse skeef all these years. I don’t know what Ashwin is going to tell the Equality Court. Maybe there are overt instances of racism to emerge. But everyone who has been at the receiving end of the lesser sort knows: the scorn and scoffing may be oh-so-subtle and coded, but those who fancy themselves your betters give themselves away eventually. Let us remember what Willemse’s on air accusation was. He felt undermined and patronised. Adv. Maleka should have known that there was something in the SuperSport air that Ashwin picked up? I was informed that SuperSport took the view that Black analysts should be preferred to operate the touch-screen because of its sophistication and in order to undermine the publicly held view that they do not have the technical skill-set or craft to operate sophisticated equipment… That is a legitimate consideration which should be encouraged. There is a ‘publicly held view’ that Black people ‘do not have the technical skill-set to operate sophisticated equipment’? And so, we must ensure the Black presenters reveal that they are computer-literate? The mind truly boggles. First, this kind of reverse social engineering works to entrench stereotypes, certainly on set. Imagine if Black presenters knew that they were specifically assigned computer duties so that SuperSport could prove that Blacks could use touch-screens, after all. It’s insulting. And prove to whom? In reality it has the opposite effect in that white analysts (proper) at the desk are seen to give orders to the black help (at the screen) in providing the true talking points on games. Which change-management firm gave them this disastrous advice? Maleka’s resounding conclusion is that touch-screen operators should be racially rotated! Nothing here about the racial mind-set at SuperSport, even obsession with race, that they were deliberately placing analysts in different racial groups in different places on set. Maleka’s recommendation is to move the deckchairs. In this context one appreciates why Willemse’s view of the review process was that it functioned “to administer a balm [of some sort] to injuries inflicted upon Mr Willemse’s rights to dignity and not to be discriminated against based on the color of his skin.” It is really SuperSport that should be in the dock. 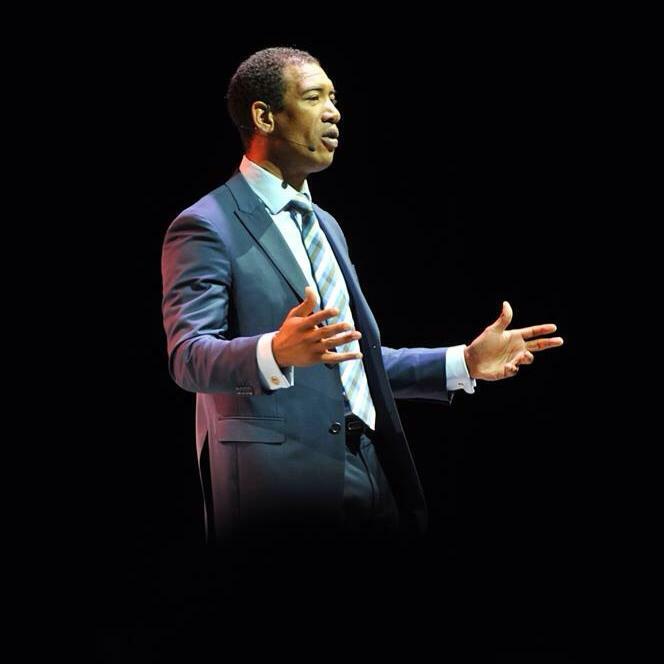 Willemse takes his case to the Equality Court. I, for one, cannot wait to see Naas Botha being cross-examined and Mallett vainly trying to correct his English. Will SuperSport screen it live and will a Black person be at the touch-screen? 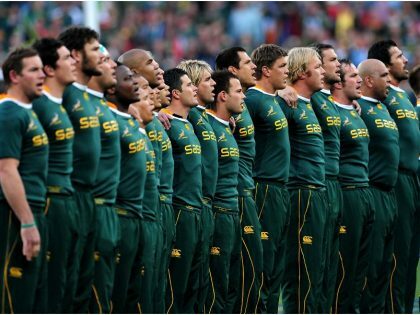 Next time ‘Die Stem’ part of the South African anthem plays, the appropriate reaction is to sit down or take a knee.